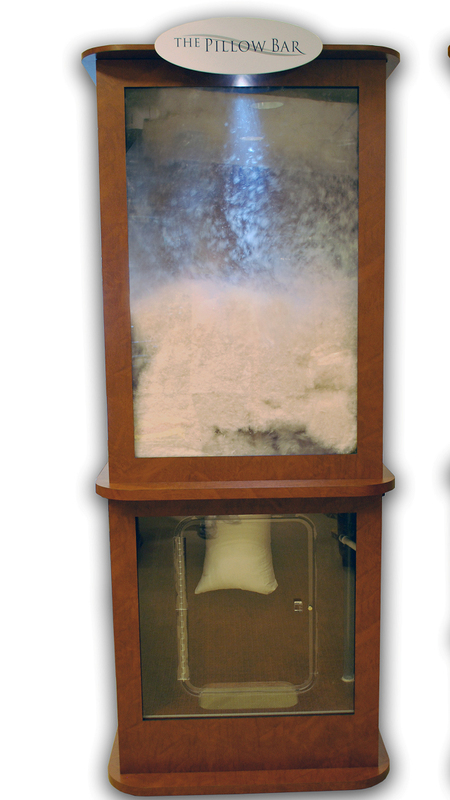 The Pillow Bar is a free standing kiosk that contains all of the ingredients to make your own perfect custom down pillow. Your pillow will be made to match your sleep style and your physical make up. It’s time to forget someone else’s idea of soft, medium or firm. You will sleep better and feel more rested with a pillow from The Pillow Bar. Pillows and accessories are available from The Pillow Bar in Dallas, Texas, online and fine stores throughout North America.